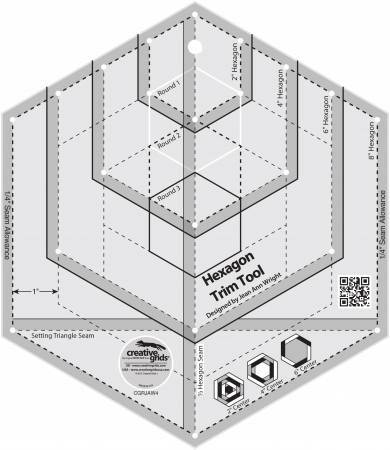 Create perfect pieced hexagons with 2in, 4in or 6in finishedcenters by squaring up each round of strips as you go. Sinceeach round is squared up before the next set is added, theblocks created are perfect hexagons. Or use the markings tocut 2in to 8 in finished hexagons & every size in between.